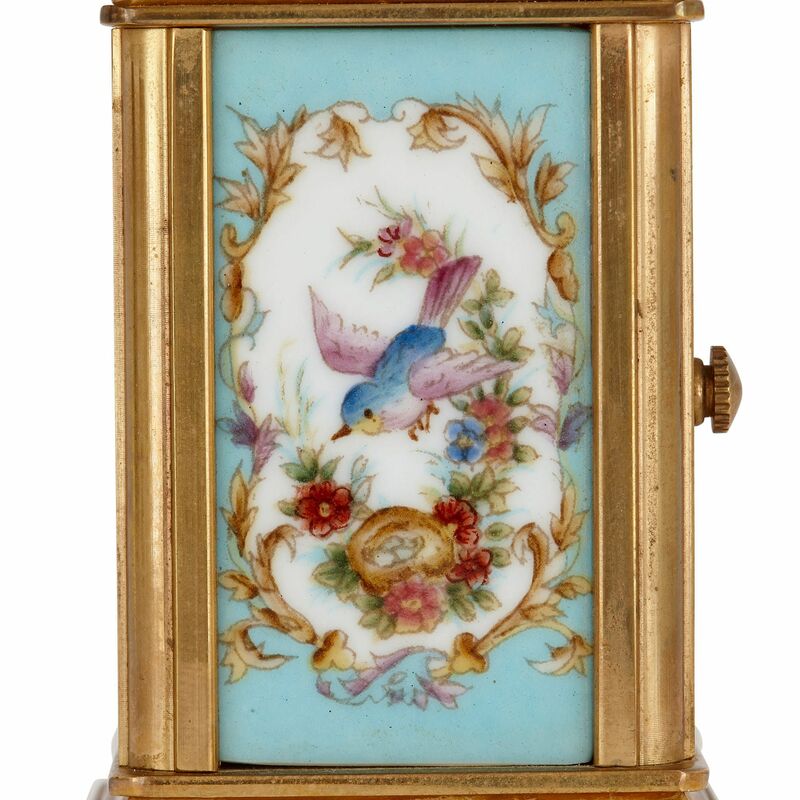 This small clock and barometer, with their beautifully delicate paintings of flowers and birds, will look elegant placed on a bedside or dressing table, or mantelpiece. 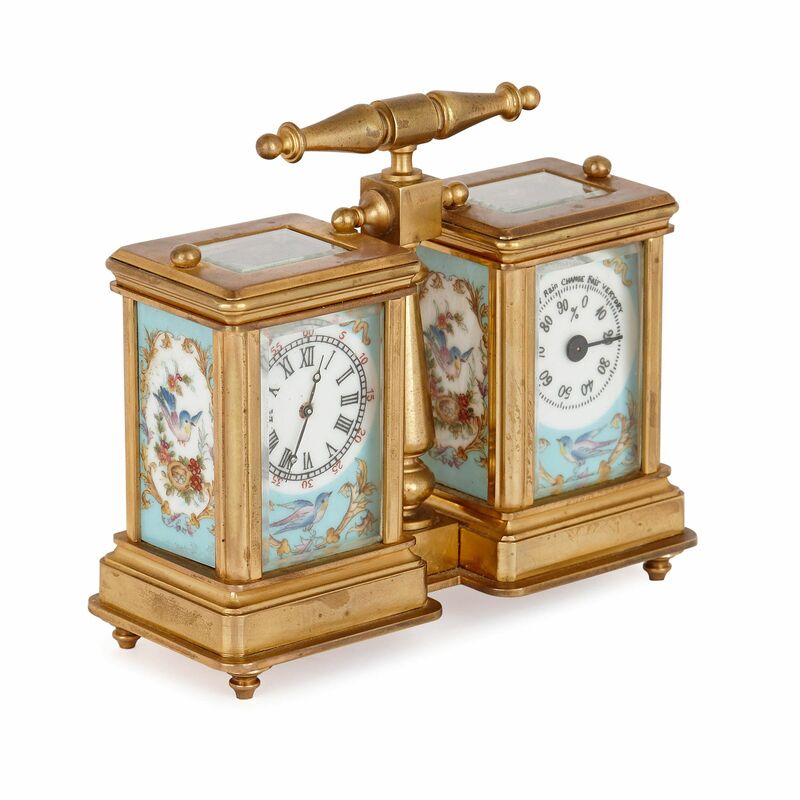 Crafted on a small scale, carriage clocks and barometers were designed for travelling. 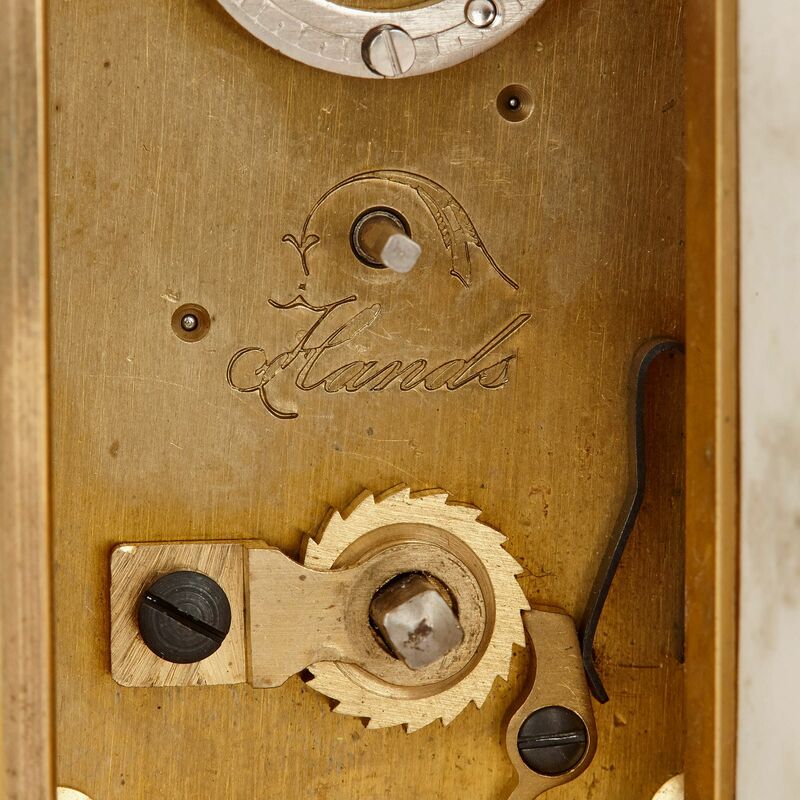 They were invented in the early 19th Century in France, and they continued to be made in the 20th Century. 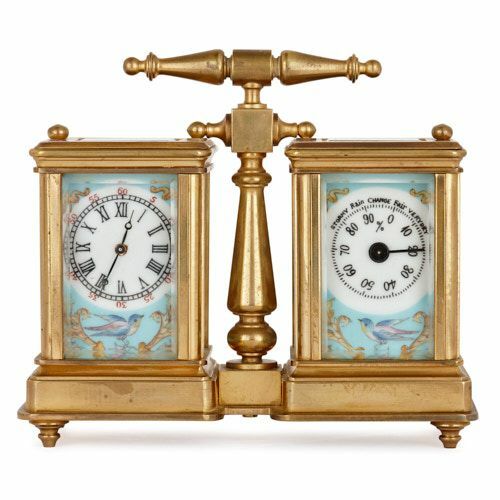 In this instance, the clock and barometer are placed side-by-side in a single glass and gilt brass case, which is set on toupie feet. 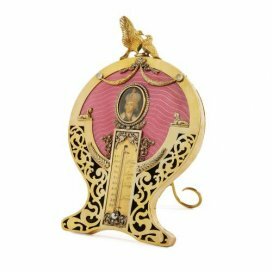 The case is fitted with a handle, making it easy to carry. The faces of the porcelain clock and barometer are almost identically decorated. 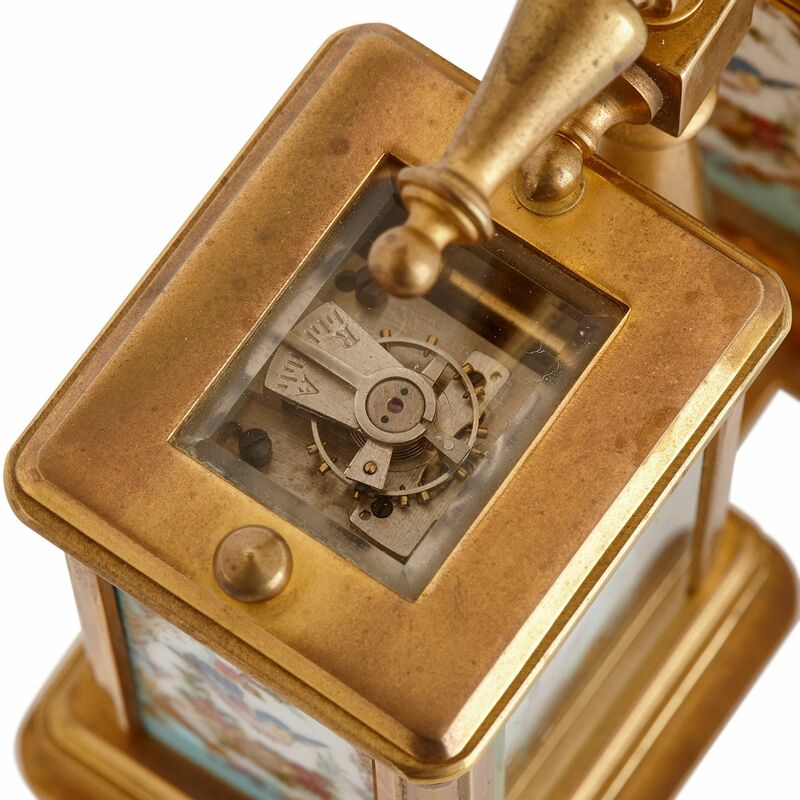 They each feature a circular white dial – the clock featuring Roman Numeral hours and Arabic Number minutes, and the barometer percentages and weather descriptions. 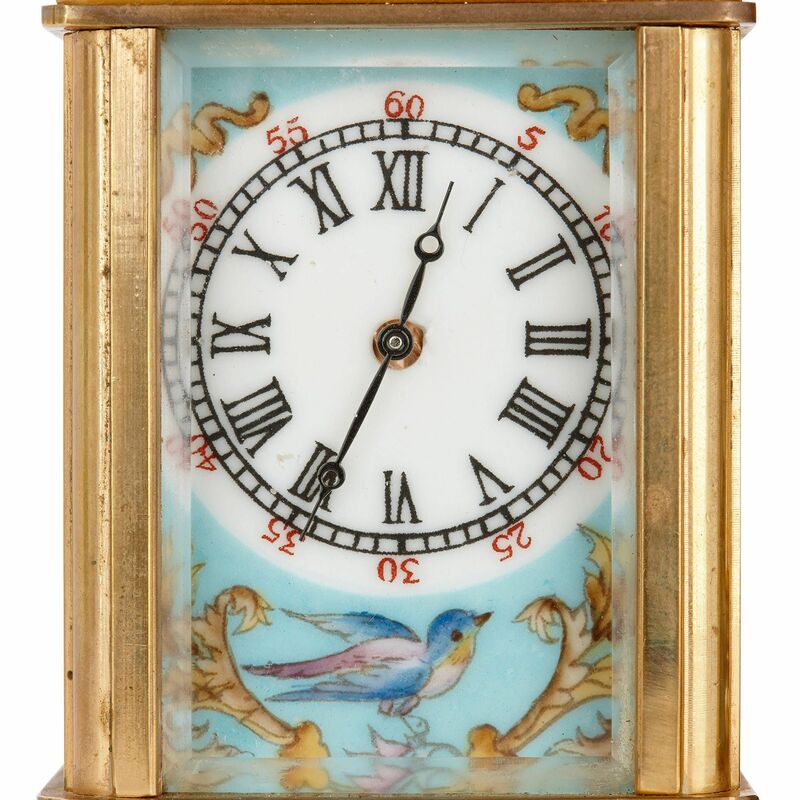 Directly beneath the dials are charming depictions of birds, set against light blue grounds. 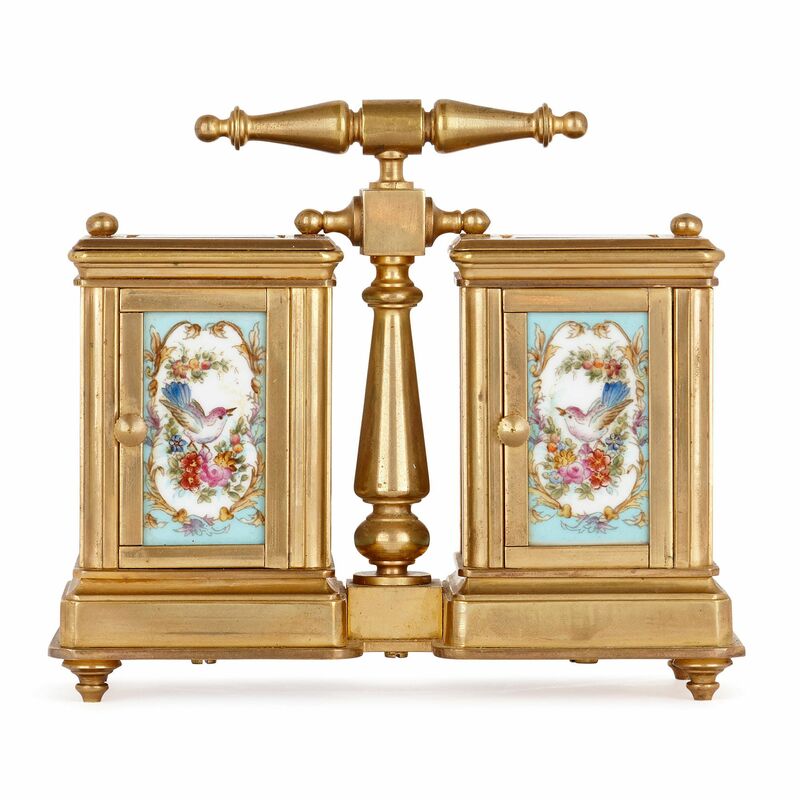 The porcelain sides and backs of both the clock and barometer feature paintings of birds and colourful flowers, set against white grounds, contained within foliate cartouches. 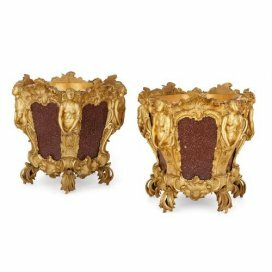 These are placed against light blue backdrops.